In 1898, Secundo Pia took the first photograph of the Shroud. On the photographic negative, he was able to observe a positive image of the man in the Shroud. A negative is a positive, thus the real photographic negative shows a "optic positive" of the man of the Shroud. This photographic analysis points to the possibility that the image, no matter how it was formed, was produced by a real body. One of the most striking characteristic of the image is that it encodes three-dimensional information, something that can not be found in paintings or photographs. When processing the image with an image analyzer, we can extract three-dimensional information, (anyone can do it with the appropriate computer software) it shows a human body in 3-D. The body parts that were closer to the cloth can been seen in relief from the parts more distant to it. The intensity of the image is inversely proportionate to the body-cloth distance in each point: the image is darker (lighter in the negative) in those areas where the distance body-cloth was smaller. This rule is mathematically true for the entire image, and it has been calculated that the distance between the body and the cloth could not have been more than 3.5 cm. 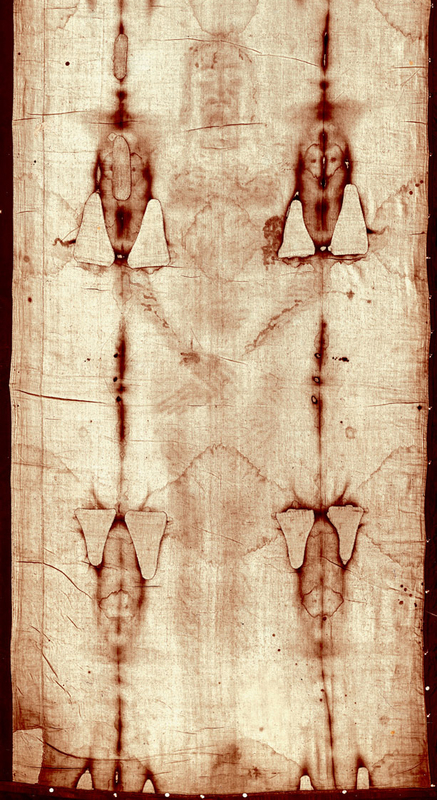 From this analysis it can be easily concluded that the image was not a result of direct contact between body and cloth, such that we would only have the image of the body parts directly in contact with the Shroud. 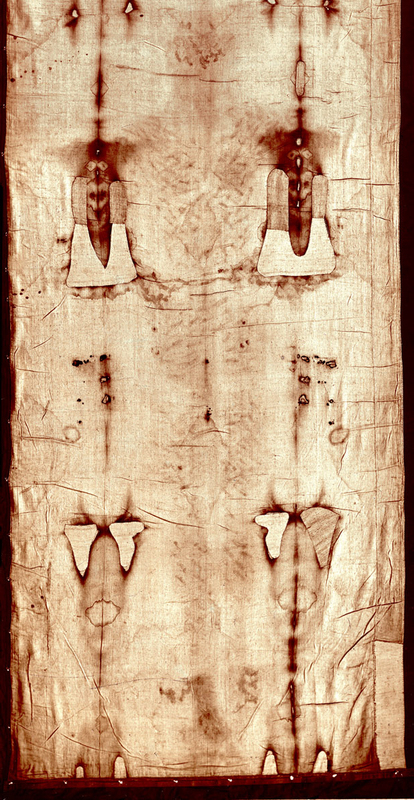 While the blood stains can be observed in both sides of the shroud, the image is only found on one side. Underneath the blood there is no image. The image is formed by very small pixels in the most superficial part of the fibers where a change in its structure occurred (oxidation and dehydratation). The sharply bounded pixels that make up body image cannot be duplicated by any known process today. The Image does not fluoresce like other burns in linen fiber, thus the image was not formed by a burning process, and only the damage of the fire of 1532 is seen when a test with UV light is performed. It is currently unknown what process is responsible for the formation of this unique image.